At 6:30 a.m. the Dunkin’ Donuts on the corner of North 5th Street and West Sommerville Avenue was robbed, say local police. 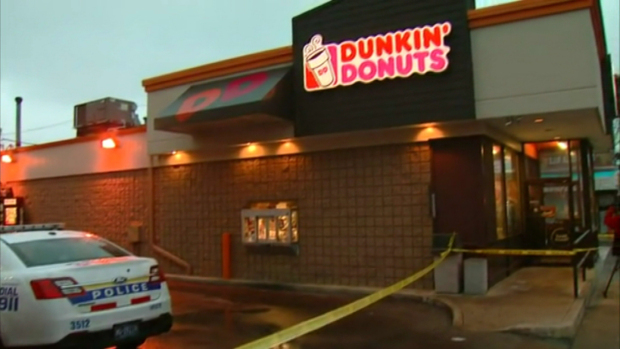 The police say the gunman escaped with an undisclosed amount of cash after firing one shot in the donut store. No one was injured and police say they found one bullet casing on the floor but not the bullet. A district managers told ABC 6 that four employees and one customer were in the store during the robbery. The gunman was seen leaving in a burgundy Toyota. NBC reports there may be surveillance video in the store on the small business-packed block.